From there, we were lucky enough to hit Vail just in time to catch a piece of the Go Pro Mountain Games. If you’re not familiar with this festival, just imagine every Abercrombie and Fitch model descending upon one of the most expensive towns in America to compete in professional mountain sports like kayaking, slack lining, and mountain biking. It’s intense. Lots of people with tattoos who are “spiritual, but not religious.” Our minivan was the only vehicle that didn’t have a kayak on top. We got to watch a bit of the kayaking action and a little bit of the slacklining. We ate PBJ’s while watching a couple hundred people do a massive yoga class in the middle of the village. They were all very bendy. 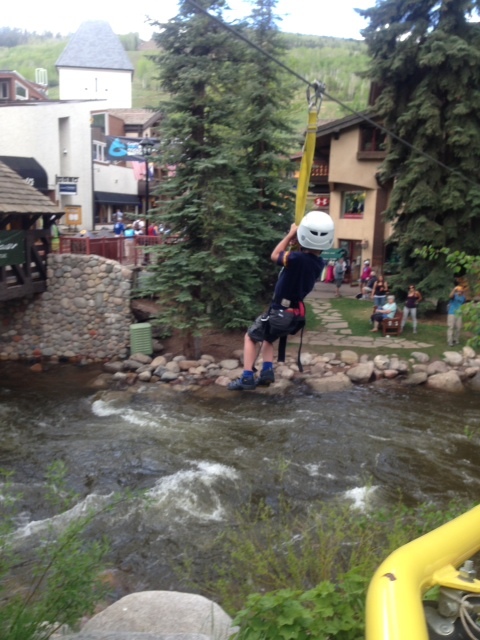 After stuffing our backpacks with free samples of beef jerky and organic energy drinks, the kids were psyched to try ziplining for the first time, climb the fake rock wall, and ride the gondola to the top of the mountain where we had a mid-June snowball fight. After pushing our kids beyond the point of exhaustion, we averted a massive tantrum at 10,000 feet above sea level by plying them with M&M’s. It’s comforting to know that even in strange locals, where social status depends largely on body mass index, old tricks still work. My kids will do anything if there’s the promise of hard chocolate on the other end of the deal. 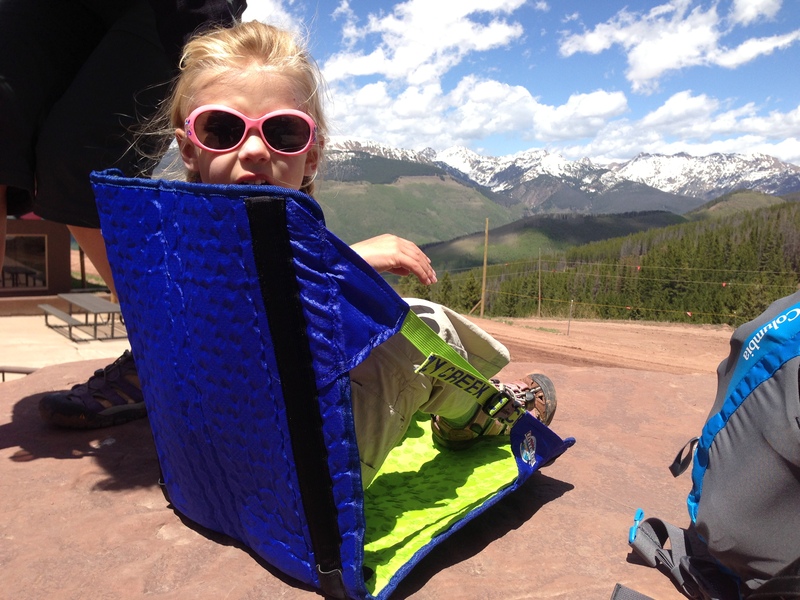 This entry was posted in parenting, popular culture, Uncategorized and tagged boulder, car camping, children, colorado, go pro mountain games, hipline, kayaking, kids, mountain, rock climbing, sports, vail by daddrinks. Bookmark the permalink.